This is Jacking Instruction decal for 1973 Camaro with factory space saver spare tire. This is Jacking Instruction decal for 1973 Camaro with factory standard size spare tire. This is a caution fan engine bay decal for a 1967 - 1982 camaro. 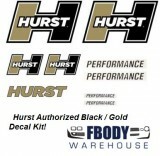 This is a engine cooling system decal for a 1967 - 1975 Camaro.